Fresh baked bread, tasty sweet treats... oh my! Stylish bakery offering a rotating selection of homemade cakes & cookies with allergen-free options. 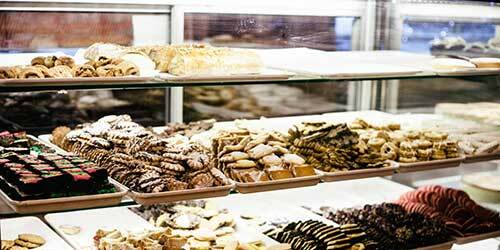 Longtime Italian bakery offering cakes, cookies & pastries along with bread & personal pizzas.